It’s still too cold and wet here in Zone 7 to do any real seed-sowing, but there are two plants that don’t mind terribly: poppies and peas. 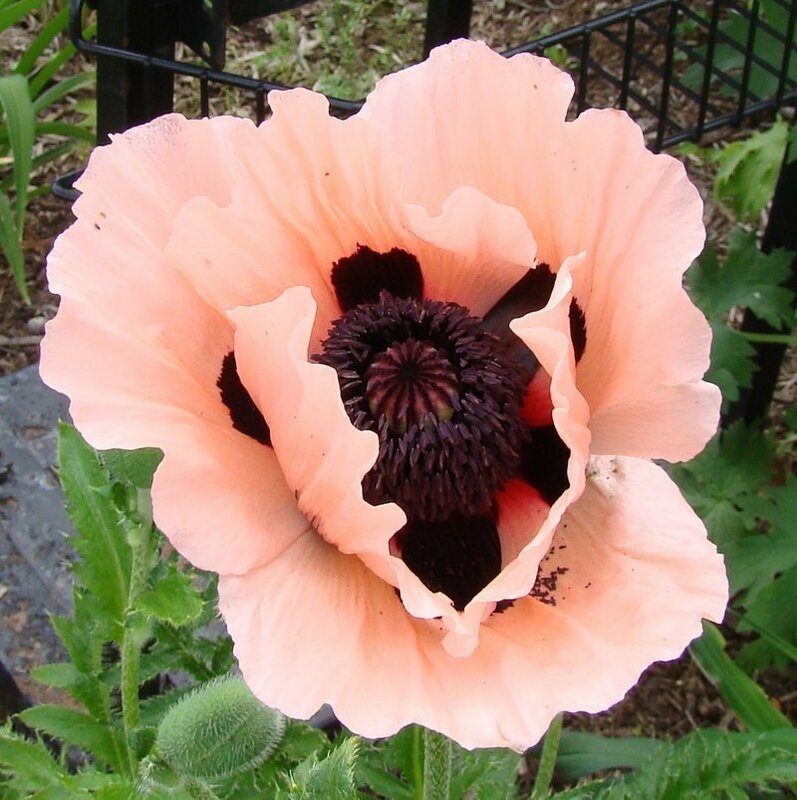 Papaver ‘Coral Reef’ by daylily970 on DavesGarden.com. Oriental poppies (Papaver orientale) don’t mind freeze-thaw cycles, and they much prefer to be directly sown than transplanted. I’ve tried them before, several times, with no success whatever. I sowed a few seeds of Papaver ‘Coral Reef’ today in the new beds adjacent to the house addition; I’ll sow a few more in perhaps a week or two, and try a few indoors in peat pots. Perhaps this time I will find some luck. Oriental poppies like rich soil, slightly on the alkaline side. The seeds need light to germinate, so I didn’t cover them. Instead, they’re sitting atop a layer of moist compost. The beds in which I have sown them have been amended with lime to bring them close to neutral. If I see any promising seedlings, I may scratch in a bit of extra lime around their perimeter. These plants are related to Papaver somniferum, from which opiates (and culinary poppy seeds) are derived, but the Oriental poppies don’t have these compounds. 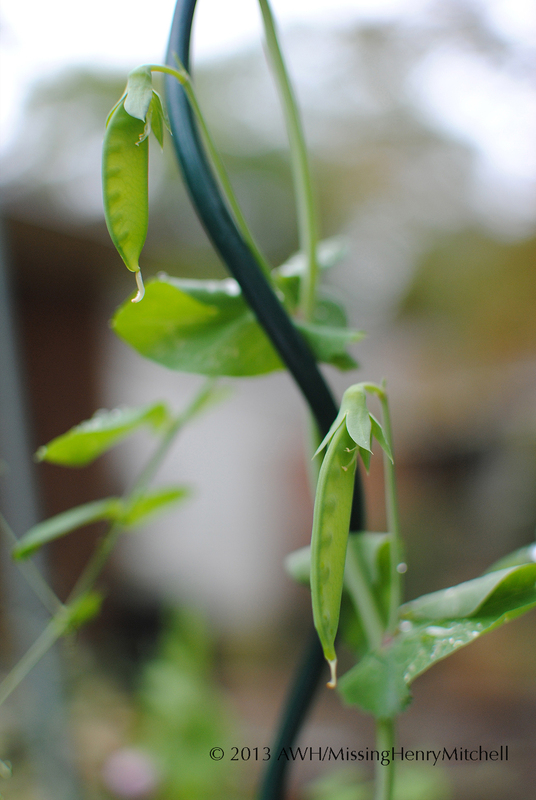 The other plant I can sow outdoors right now, despite the weather, is peas. I love sugar snap peas. I have never grown them using inoculant, but I am this year. If you’re new to growing peas, inoculant is a powder containing millions, perhaps billions, of Rhizobium bacteria that promote nitrogen fixation in legumes (peas and beans). The powder is moistened, then used to coat the seeds prior to sowing. It’s also possible to mix the inoculant directly into the soil. I’m going to try two methods of sowing for my peas: direct sowing, and paper-towel germination. Like poppies, peas don’t care much for transplantation, but cold, wet soil can encourage the seeds to rot. I’ll try germinating some of the seeds in damp paper towels, and then plant them out once the radicle has emerged. Theoretically, not enough growth will have occurred to induce transplant shock, but the seeds will have avoided rotting. Hang in there, fellow gardeners. If the groundhog is right, we have only five weeks of bad weather remaining. How bad can it get? This entry was posted in 2014, Edible Plants, Garden log, Garden plants, Gardening Basics, Ornamental Plants, Perennial plants, Propagation, Vegetables and tagged gardening, grow your own food, inoculant, nature, oriental poppies, poppies, seed starting, sugar snap peas, vegetables, winter gardening by missinghenrymitchell. Bookmark the permalink.